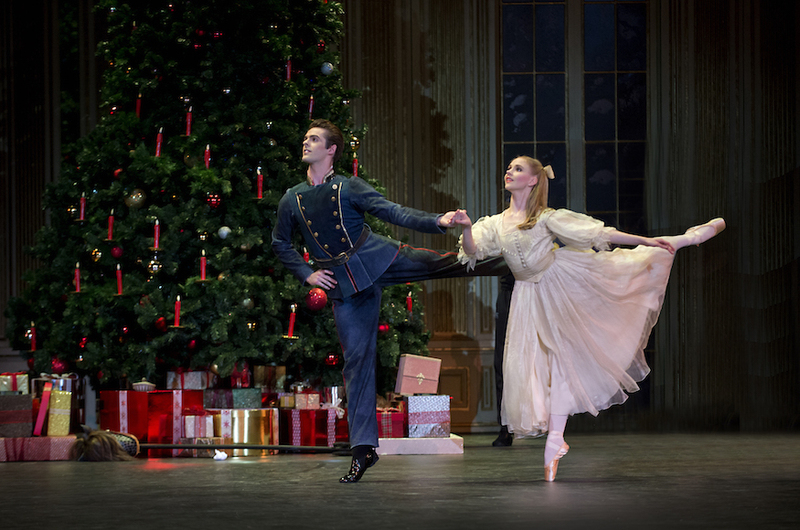 David Bintley’s version of The Nutcracker for Birmingham Royal Ballet, which works from the choreography of Lev Ivanov, Vincent Redmon and Sir Peter Wright, comes to the Royal Albert Hall for the first time. This requires it to be staged on a larger scale than ever before but, while the production uses projections and giant ceiling baubles to make us feel as if we are standing inches tall beneath a Christmas tree, it never feels overblown. The level of detail is staggering as the toys given out as presents in Act I become the dancers in Act II’s Suite, while the choreography is also innovative. The dramatic battle between the mice and toy soldiers reveals excellent spatial awareness, while the Dance of the Snowflakes paradoxically conveys grace through quick, sharp movements as four men join the female artists. Casts vary, but when we attended the principals generated just as much magic as the production itself. Karla Doorbar’s beautiful and effervescent Clara perfectly complemented César Morales’ light and athletic Prince and Momoko Hirata’s delicate and precise Sugar Plum Fairy. With the run boasting as many matinees as evening performances everyone should have the chance to see this outstanding presentation of a Christmas classic. 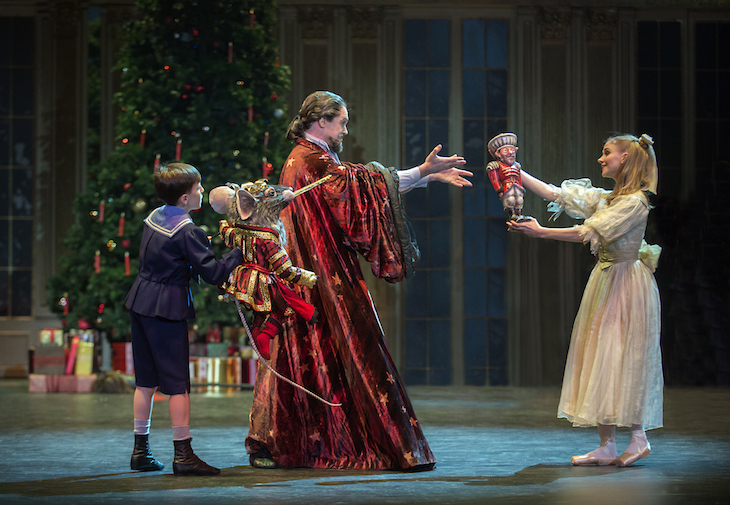 The Nutcracker, Royal Albert Hall, Kensington Gore, SW7 2AP, £35-70, until 31 December 2017.